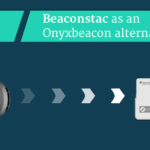 To cater to the growing and diverse beacon proximity use-cases, Beaconstac has been working hard on expanding the beacon hardware choices over the years. 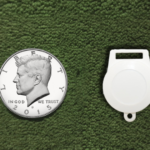 Over the last two years, we introduced simple low priced beacons for indoors, waterproof and dustproof beacons for outdoors. 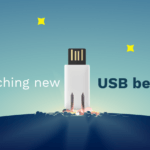 Following that, earlier this year, we introduced the pocket and keychain beacons that help businesses generate leads and engage with potential customers on the go. Today we are excited to introduce the long-range beacon that increases the range of transmission significantly to over 300 meters or 984 feet. ⦁ Send information that is relevant to all the gates like a feedback request, directions to eateries, information about duty-free stores etc. ⦁ Notify employees about the new opportunities for workshops, training, employee referrals etc. If you are looking to get started, head to our Beaconstac store page and invest in a set of long-range beacons and our Basic subscription plan. You can have the campaigns up and running in less than 15 mins!